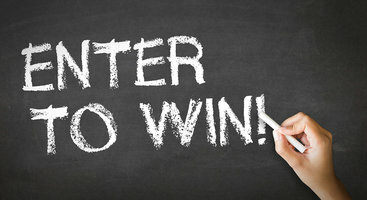 Contest winning strategy? We know how to win Forex contest! Home - Traders Tips - How to win a Forex Contest? While there are certainly a lot of available trading contests organised by many FX brokers, it seems quite challenging to win one, as an average contest may accumulate a few thousands of participants. Try to ask yourself a question “How to win a Forex Contest?”. If you are a profitable trader, this certainly does not mean you will end up amongst the winners of the tournament. In most of the cases your regular trading strategy will not work during a contest. When someone developers a strategy, his main aim is to achieve some profit. Conversely, when participating in the contest, your main aim should be to gain as much profit as possible and achieve this as quickly as possible. In other words, even though you can make profit on your trading activities, it is still relatively high to end up in the top of Forex trading contest using your regular trading strategy. But don’t you worry. This article is made for you to get the best knowledge of winning Forex trading championships. We will list a few of the most comment strategies and also explain the contests where these strategy can be mostly useful. We also will highlight a few of “not-so-ethical” ways of winning the contest, purely for your information. Let’s rock! This is certainly one of the most simple trading strategies and it can also be quite useful for many rookie traders. The main idea of this strategy is that even though you are not experienced at trading, you still can win a contest with quite limited knowledge. So what is that you have to do? Simple – once the contest begins, you have to open a position for the maximum available trading volume. What happens then? There are two possible scenarios, either you will be stopped out and your participation in the contest will be over or you will double (or even triple your) account. Sounds quite easy? In fact this is a very easy Forex contest strategy! How to do it right? First of all, even though you will eventually experience a great market move, you still want to this to happen as quickly as possible. Hence, you should first take a look at the Forex calendar before you open a trade. Check what the most volatile pair for the starting date of the contest. Usually a pair that will experience the largest degree of volatility is the one that has the largest amount of fundamental events attached to it. Once you have identified a proper pair – open a trade for as large volume as possible in the forecasted direction. Once you have experienced a stopped out, well, unfortunately your participation is over. You will still have some funds left on your trading account, but it makes quite a limited sense to continue participating. You have not ended up in the top, but you only lost a few minutes of your time. Doesn’t sound that bad, right? Okay, let’s take a look at another scenario. You have opened a position and by now you have nearly tripled your account size. This would certainly land you at some top10 or top20 participants of the contest. However, the tournament goes on and so does the account balance for some of the participants. If you simple restrain from trading, eventually you end up at some top100 and, of course, these places are not paid. So what should you do to win the Forex championship now? Exactly the same thing you did before – you look up a volatile pair and you hope that your prediction works out. This sounds like quite a dummy Forex contest strategy and in fact it is. However, it does not mean it is impossible to win a contest using it. An important thing to keep in mind is that you should find a contest that allows operating with as high leverage as possible. Next to this, there should be no restrictions on the maximum trading volume. In most of the cases you will end up losing a contest, however, you may count that at least once in 20 times you can get lucky and win it. On average, you should make 3 all in trades in a row to end up amongst the winners. While the previous strategy is certainly suitable for the people that just want to win the contest, it may not be accepted by the traders that actually want to learn during the contest. This is why we are going to show you quite an interesting strategy that is designed for slightly more advanced traders. First of all, you have to understand that every contest will have a great number of the dummy traders that will be going all-in from the very first minute. This is why the main step is to hold on and actually see how many all-inners participate in the contest together with you. Just restraining from trading (or from trading aggressively) will certainly land you in the upper 30% of the participants, as most of the all-inners will either blow their accounts during their first or second all-in. What you are looking afterwards is as frequent trading as possible. This is also known as scalping and it involves opening low-volume positions while expecting some small returns. Scalping Forex contest is certainly an effective strategy as within a few hours you can make quite a substantial return. However, an important thing to consider here is that your trade size should not be equal to the trade size of regular scalper that operates on a live account. As you are participating in a Forex demo contest, you should have a moderate / high size of your transaction. Next to this, your trades should last less than 15 minutes, ideally even less than 5 minutes. Unlike all-in strategy, we are not looking for the volatile instruments. In fact, it is better to avoid pairs with the high volatility. The main idea of this strategy is to identify minor upward and downward trends and try to gain some 5-15 pips. This is a superior strategy to an all-in trade, as you could certainly gain more pips than a regular all-iner. This is true because you can gain from the both directions of the price move, while only an average all-iner profits only from the one side of the move. Having said this, it is also important to state that scalping takes much more time and attention from your side, so you have have to be next to your PC most of the contest’s duration. Keep in mind that when participating in a certain competition and trying to win it by cheating, you, first of all, treat yourself with disrespect and secondly you treat other contestants the same way. Why is that? Because when cheating, you are firstly telling yourself that you are unable to win using fair rules and you need some handicap to actually beat the others up. However, we are still going to disclose some cheating practices, mainly for the informational reasons. Let’s find out how to cheat at a Forex tournament below and let’s take a look at the most common cheating Forex tournament strategy. When looking at all-in Forex tournament strategy, it is safe to assume that it is like a lottery ticket. It may work or it may not, it is just not in your control. However, the more lottery tickets you have, the higher is the chance of winning. Hence, if you are able to participate not with one account, but with 40, you can then be sure that you can easily win a contest. How it works? Firstly you register 40 accounts. Once then contest begins, you go all-in! 20 accounts are opening short orders, 20 are opening long orders. Then you eliminate 20 losing accounts, and do the same split with 20 winning accounts. Hence 20 winning accounts become 10 winning ones, 10 become 5 and so on. Eventually, you will end up having an account that is in the top of the contest ranking table. How to do it safe? You need to know that not only you should register the accounts via proxy, but you should also connect to the trading server (usually via MT4) via a proxy itself. In other words, a regular browser-based proxy extension may greatly work for the registration of your fake account, but once you are connected to the trading platform – your real IP will be seen. This is why you should consider using a real Virtual Private Network (VPN) when cheating this way. In this article we have provided you with 3 main strategies to win a Forex trading contest. If you are just starting or simply want to win a contest without getting ins and outs of trading – try all-in strategy. There are lots of contests by lots of brokers, so even if you fail to win first 50 contests, you may surely end up winning your 51st one. Luckily, with the variety of contests nowadays, it won’t take you more than a few weeks to sign up for 50 Forex contests. Should you look for more advanced strategy – go with scalping. And if you are a filthy, unethical cheater – you can, of course, try cheating your way to the top, but this is certainly not what we would recommend you.